Are you afraid to niche down your accounting business because you fear that you might run out of clients? 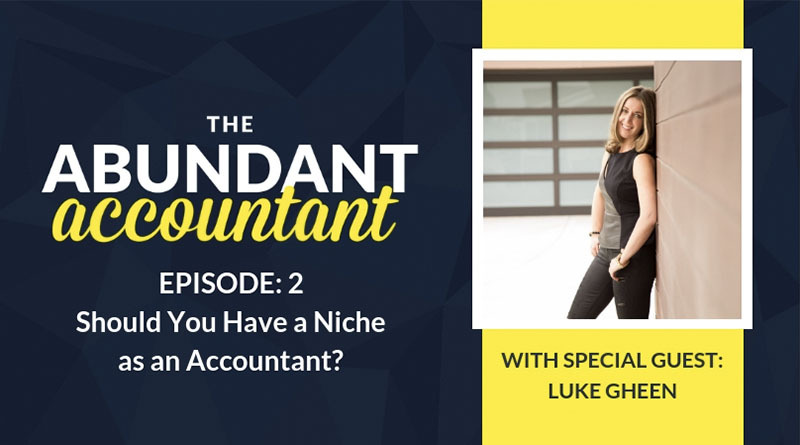 In this week’s episode of The Abundant Accountant Podcast, Luke Gheen joins us to share the evolution of his business’ niche. 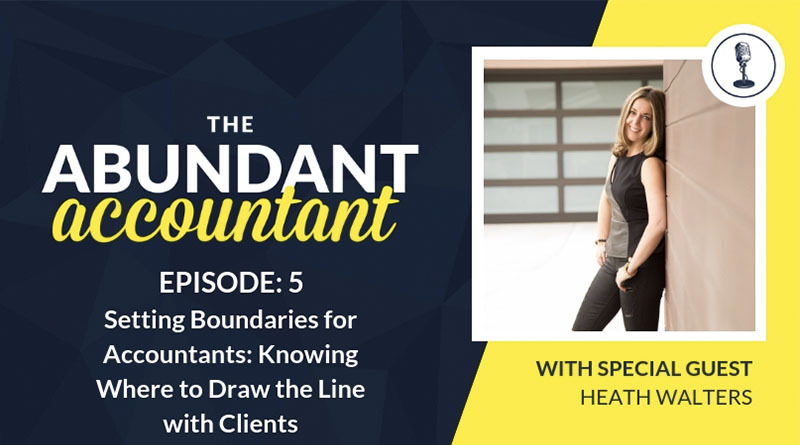 When he first started out, Luke’s primary goal was to bring in business and revenue to the firm, but he quickly learned that working with any ol client was not what he had in mind when he decided to become self-employed. By choosing a specific niche, Luke has been able to create tailor made products and services and charge higher-end prices for them. 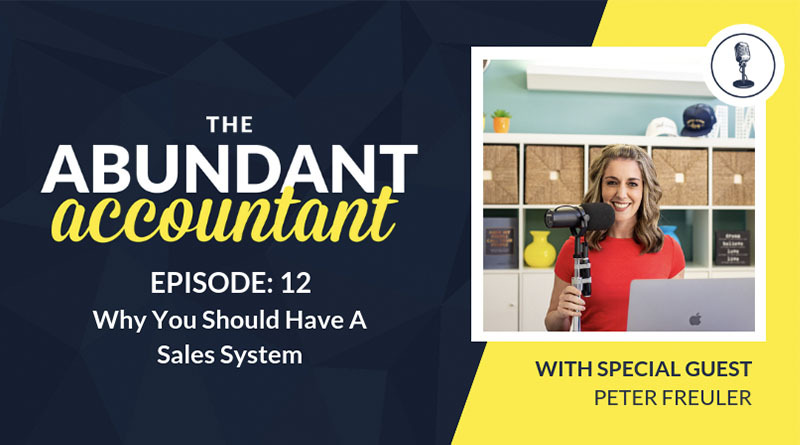 This means Luke is able to work with fewer clients and make a little more money, leading to that Abundant Accountant life we all desire. 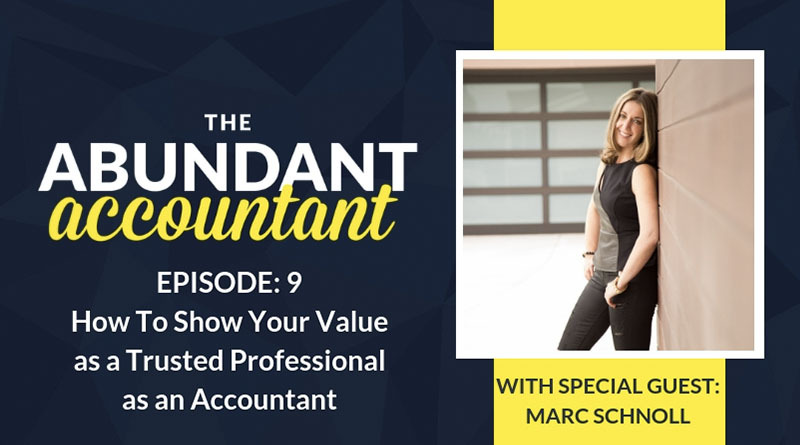 If you’re ready to start working with your dream clients in the niche of your choosing, then this episode of The Abundant Accountant Podcast is a MUST LISTEN! Are you afraid of niching down? Does the thought of only serving a small subset of people having you full of anxiety? Learn why niching down can actually BUILD UP your business in THIS BLOG POST may help you decide. 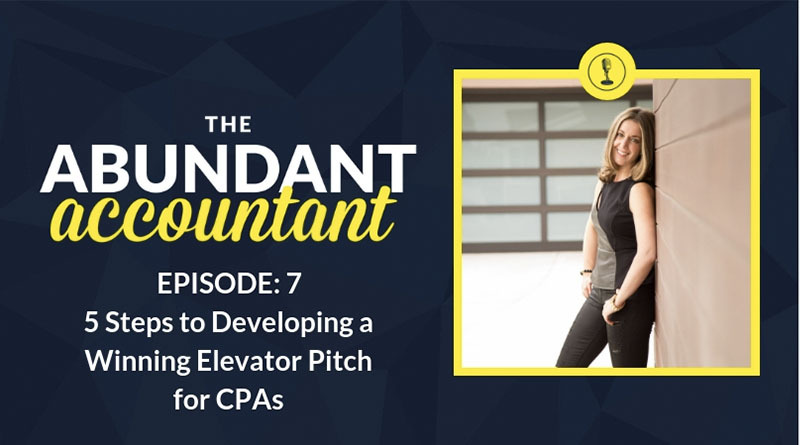 Michelle introduces this week’s special guest, Luke Gheen, CPA. Luke introduces himself and shares a little bit about what he does and how he got started as an accountant. From the beginning Luke and his team were cognizant that they didn’t just want to bring in money from any client, but they were much more open to who they’d bring in than they are now. Luke opened an office in Denver and in Colorado Springs in order to generate the revenue he was looking to bring in. 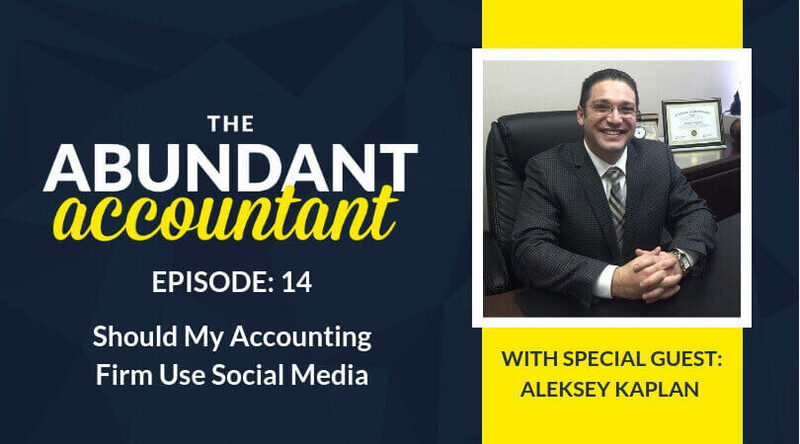 When Luke created his accounting firm he didn’t want to create something that was dependent on him personally. He wanted the niche he worked with to be able to work with anyone on his team, not just Luke. Luke believes that in order to pick the niche for you, you need to find the natural fit. You have to look for what feels good. Luke shares how he and his team stumbled into a specific industry for their niche. If you’re unsure why you chose to become self-employed, Luke encourages you to think back to when you first chose to become self-employed and then build your business around those reasons. Luke talks about how zeroing in on his niche helped him focus his marketing efforts. By narrowing their focus, Luke has been able to increase his company’s income because of offering more specialized services to his specific client base. Luke shares an interesting story of when he took on a client that he shouldn’t have because he wasn’t a good fit for the firm. Luke ended up firing the client. 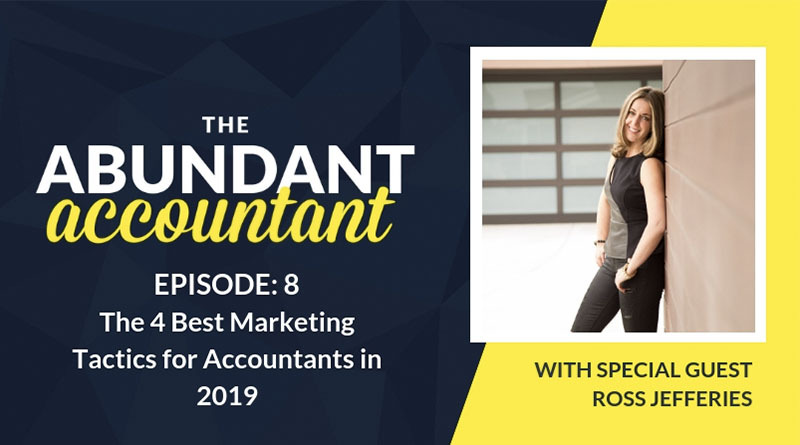 Over the years the firm Luke built has changed, but constantly analyzing whether people were his ideal client or not helped with his consistent lead generation and led to sinking a lot of money into marketing. Luke and his team are willing to work with individuals who are below their typical revenue requirements for an ideal client if there is potential for growth. 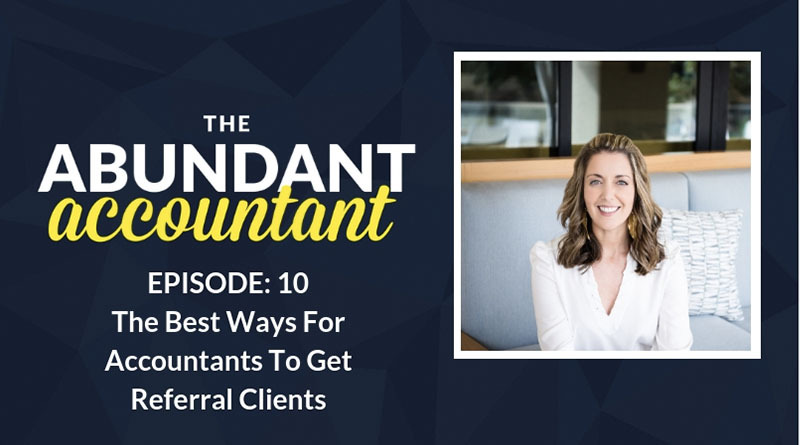 Luke talks about a service he tried to provide that didn’t end up working out because the clients wouldn’t put in the necessary work. If you’re feeling frustrated with the work that you’re doing, Luke encourages you to re-evaluate. Michelle and Luke discuss starting before things are perfect, because nothing will ever be perfect. Luke shares what he’d tell his younger self. P.S. Picking a niche can feel scary, you’re zeroing in on serving just one particular area. You wonder, how you can leave those other potential clients on the table. Does this sound like the voice in your head? Click here to READ THIS BLOG POST. P.P.S Have you have ever felt like you give away too much information for free or are you tired of not being paid what you’re worth? Than you are probably like many accountants who may feel like you’re on the cashflow rollercoaster! & we have a solution for you! 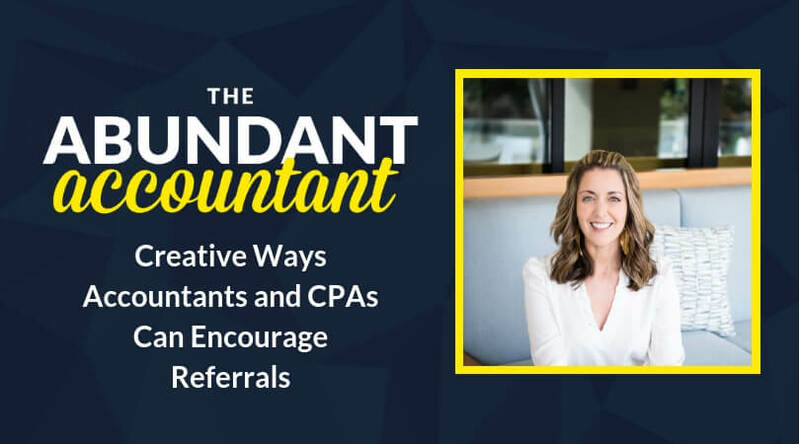 Join us for our Abundant Accountant Masterclass to learn how to communicate your value, collect higher fees with confidence and be paid what you’re worth so you can work less and make more money.